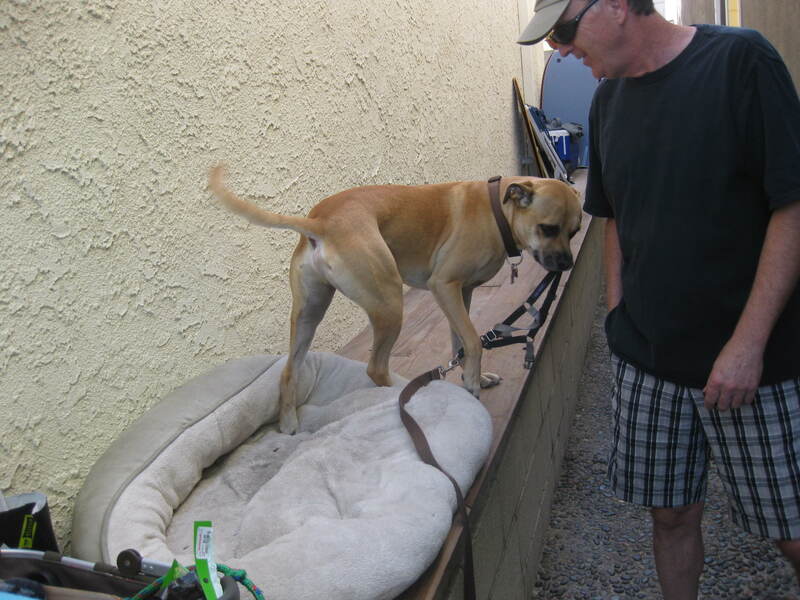 Once again, we had the opportunity to house sit for Hunter in Hermosa Beach, CA. We always enjoy our time here. It’s a beautiful place near the beach with a super view of the ocean and a really fun dog with whom we get to spend time. Like most dogs, Hunter enjoys taking a car ride. 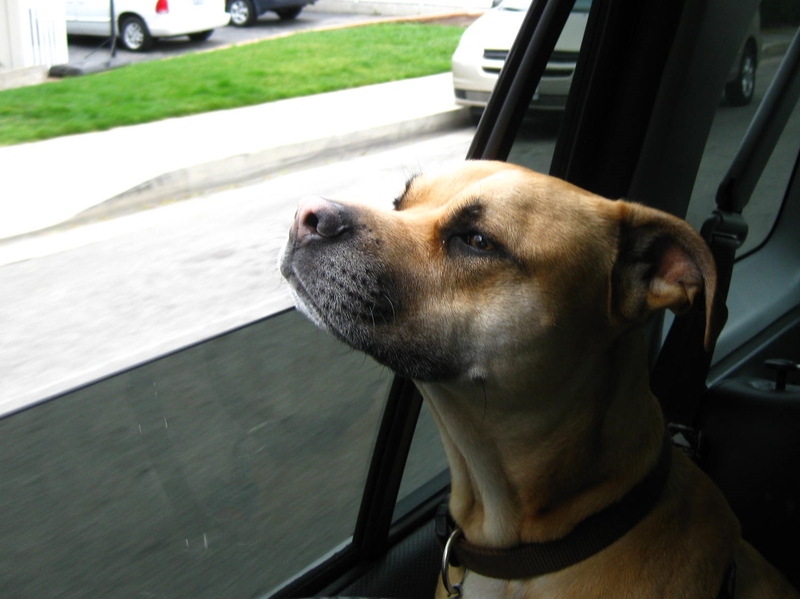 He is a well behaved passenger, just enjoying the view and the fresh air. We were here from August 23, 2013 until September 4, 2013, and we look forward to our next opportunity to house sit for Hunter. We’re house sitting in Hermosa Beach. We were here back in mid-March house sitting this same home. The homeowners asked us to come back while they are away for 10 days. So, we’ll be here until August 30. This also give us a chance to visit again with their dog, Hunter. He’s a super fun dog and we really enjoy walking and playing with him. You can see from the photo below, he has his harness and leash in his mouth to let us know it’s time for a walk. Here’s our article from the first time. 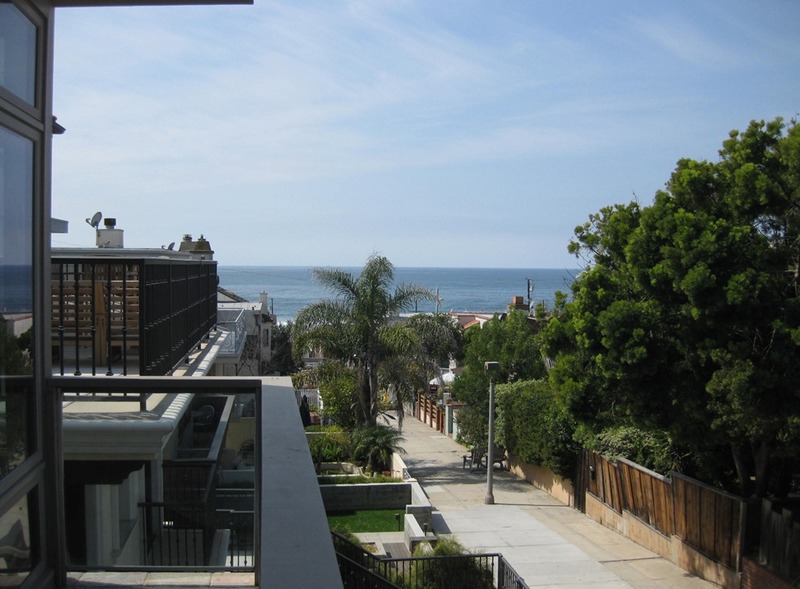 Hermosa Beach sits on the Santa Monica Bay between Manhattan Beach and Redondo Beach. When we saw this listing looking for a house and dog sitter for 5 days in Hermosa Beach, we knew it was something that we wanted to do. The two level house sits only two blocks back from the beach and has a very nice view of the ocean.